Lawrence Jackson wears many hats – dancer, choreographer, teacher, scholar – and he shoulders them all with the same quiet strength and commanding presence that he exhibits while working with the boys in Moving in the Spirit’s Men in Motion program. 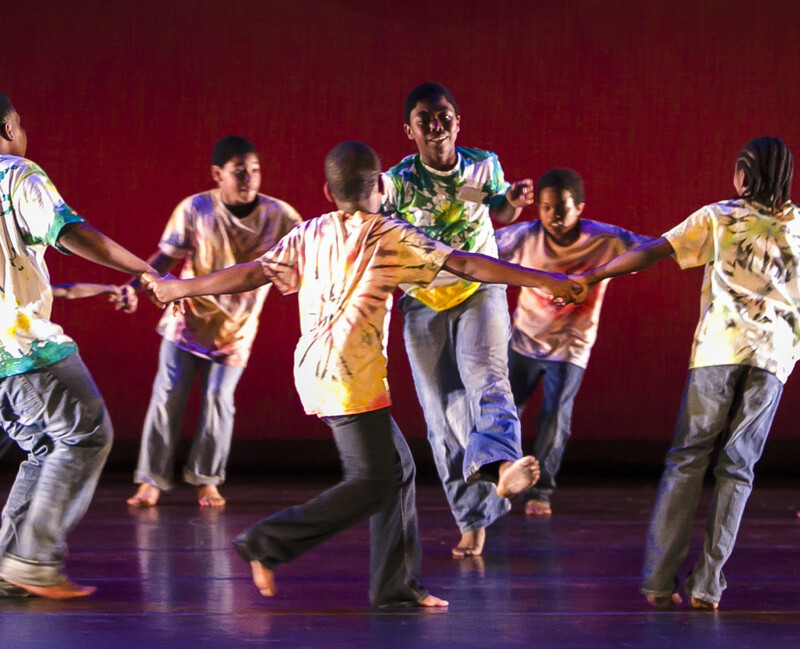 As an artist whose choreography will be part of The Wonder Years Show (a dance tribute to the life and music of Stevie Wonder), Jackson’s approaches to dance, teaching, and life are perfectly fitting for such a celebration. He grew up in Jackson, Mississippi and started his dance training when he was ten years old, which he says was “really by accident.” His understanding of dance at that age was limited to hip hop. After seeing a hip hop performance by The Academic and Performing Arts Complex, he enrolled in classes there and thought that was the style of dance he would be learning. Much to his surprise, he was instructed to don tights and ballet shoes, clearly not the wardrobe of a hip hop dancer. Despite his earlier expectations, something about ballet and modern dance kept him from leaving it behind. “I was drawn to the athleticism of it and the discipline of it and so I stuck with it.” After a few years, he started to understand that he was meant to dance. That calling took him from dance schools in Mississippi to Julliard, where he discovered that he wanted to do more in his career than perform and decided to leave after only a year. He decided to go back to school at the University of Mississippi, where he pursued degrees in dance and physical therapy. Mere months before graduation, Jackson faced the same question that most seniors do: What next? Though he didn’t have an answer, he remained open to possibilities and accompanied a friend to the International Association of Blacks in Dance Conference, where he found his “what next”: the Cleo Parker Dance Ensemble. Through his time with the company, he learned much more about how people of color had contributed to the world of dance, history to which he had never before been exposed. Something else grew out of his experience with the ensemble: a knack for teaching. He found that he got much more fulfillment from teaching than performing and felt that he could make more of a difference. Jackson found Moving in the Spirit through a friend, former Moving in the Spirit teaching artist Rachael Shaw. 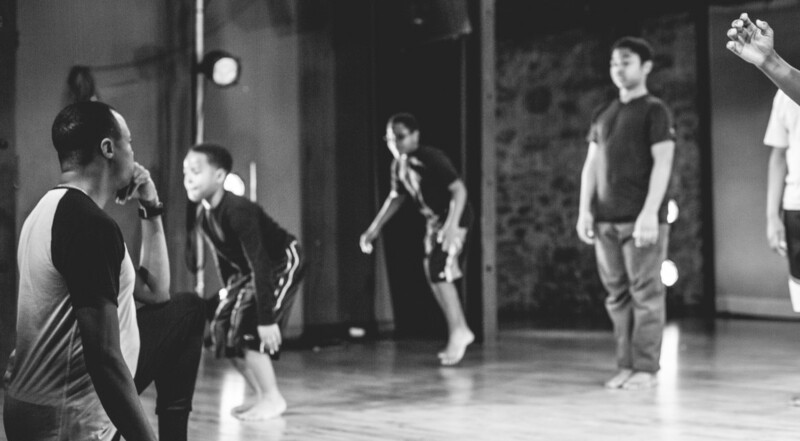 “I was like ‘Wow, there’s no other organization that actually trains black males in dance,’ and I said, ‘Rachael, you’ve got to get me in that program.’” He was excited, not only to give back, but also to work with young men of color. Throughout his career, Jackson has experienced a lot of stereotyping that comes with being a male dancer and the additional pressures that come with being African American in the dance world. 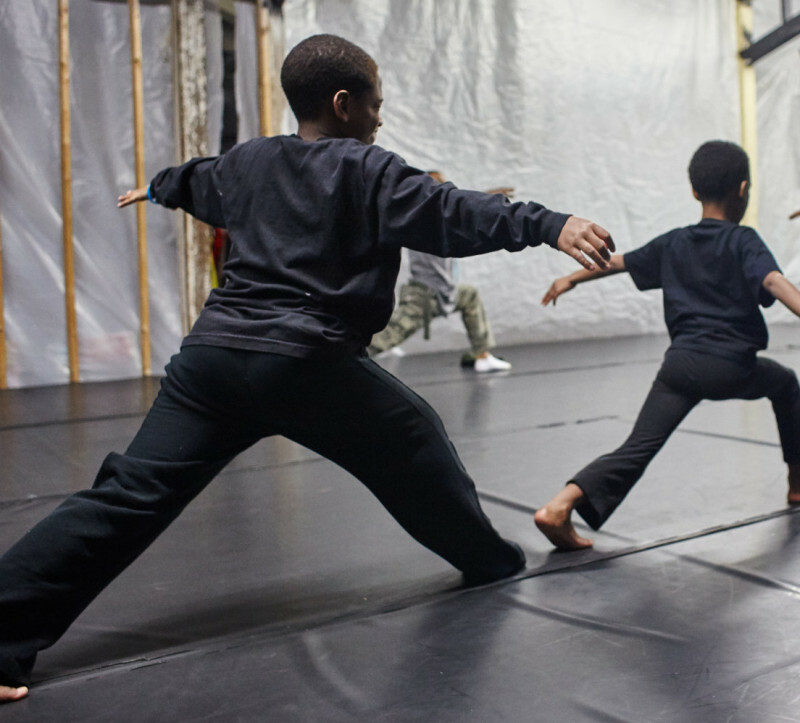 For Jackson, the value of dance training for young men lies in the discipline and respect for authority that it requires as well as its athleticism; the value goes beyond the art form itself. He wants to be a resource for them and living proof that a career in dance is possible for them. He also has a heart for service. In the same way that teaching gives him more fulfillment than performing, being generous with his time gives him more satisfaction than being compensated for it. Of his time with Men in Motion, Jackson says, “I think the greatest triumph has been seeing them really embody the essence of the choreography I give them, especially with little to no [classical] training, because I’m accustomed to training college students who are pre-professional.” He expressed awe that they often took to his movement more easily than his classically trained college students and has been amused by their boyhood energy, as he sees so much of himself in them. Jackson’s choreography is set to the Stevie Wonder hit Higher Ground and is a very energetic, African/modern dance piece. Any observer can tell that the boys truly enjoy dancing it. Jackson doesn’t make it easy for them, though. Through observation, he gets a sense of both what they can already handle and how he can challenge them. He marveled at their eagerness to learn new things from him. He’s found that they are also eager to give and receive knowledge from one another: “I just give them a step and go all right, I’m going to watch you figure it out. And then, watching their camaraderie when they figure it out, how they share that information.” That experience, so unique compared to what he’s experience in other places, is part of what makes him excited to return to Moving in the Spirit as often as he can. Excited to see Higher Ground? Come out to The Wonder Years on May 5! I love to seeing Mr Jackson dance the emotions the spiritual values he put into his dance moves . The love he has for dancing.